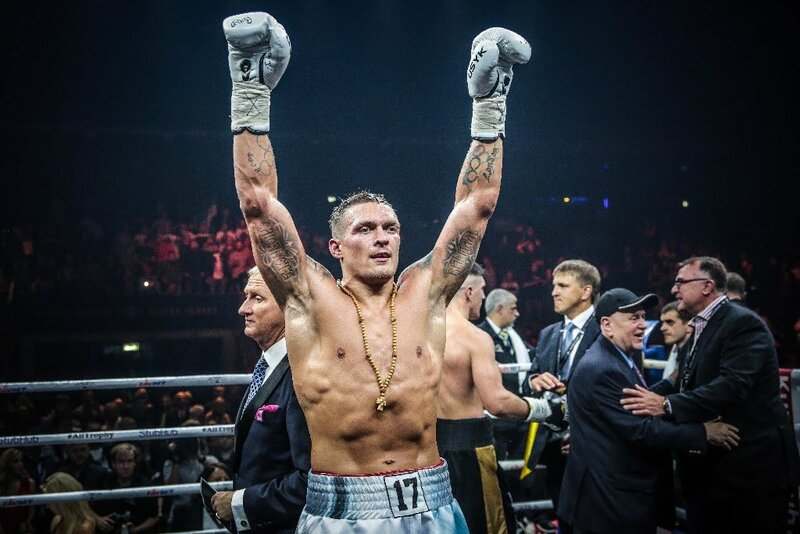 Ukraine’s WBO and WBC Cruiserweight World Champion Aleksandr Usyk, is looking forward to the historic Ali Trophy Final against Murat Gassiev on July 21 in Moscow, Russia. 31-year-old Usyk (14-0-11, KOs), gold medallist at the 2012 London Olympics, has prepared for the final at the Olympic Village in Kiev. How are you feeling with the big final approaching? How do you remember your semi-final victory over Mairis Briedis? You were watching Murat’s semi-final against Dorticos live in Sochi. What was your impression? What kind of fighter is Murat? “You can watch on YouTube … I will only say this: he is a strong guy. And now, thank God, Murat and I will fight for the Muhammad Ali Trophy and the ‘absolute world champion’ title. How would you characterize the training camp? How have you been sparring? What is the most important in your training? How is it for you to fight in Russia? How about your fans …? How is the mood in the team before going to Moscow? What can the fight fans all over the world expect from the final? The winner of Usyk-Gassiev on July 21 at the Olympic Sports Complex in Moscow will be the first boxer ever to win the Muhammad Ali Trophy and unify the cruiserweight titles in the four belt era. The belts on the line will be the WBO, WBC, IBF and WBA and RING Magazine’s vacant cruiserweight championship strap. TV viewers in the UK – Usyk vs Gassiev will be available to watch live as a Pay Per View Event from 7pm through ITV Box Office. Viewers will able to watch via their Sky or VirginMedia set-top boxes, PlayStation Store or by registering with TVPlayer for access via a range of other devices. More details are available at itvboxoffice.com.